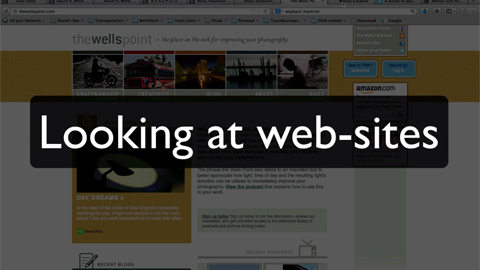 Many photographers ask me to look at their web sites to give them feedback. When I review web sites, I think back to when my web site was reviewed by someone in a position of authority. His review reshaped my web site and still influences how I look at web sites. This podcast explores that initial review, which serves as a springboard for me to look at a series of other web-sites.